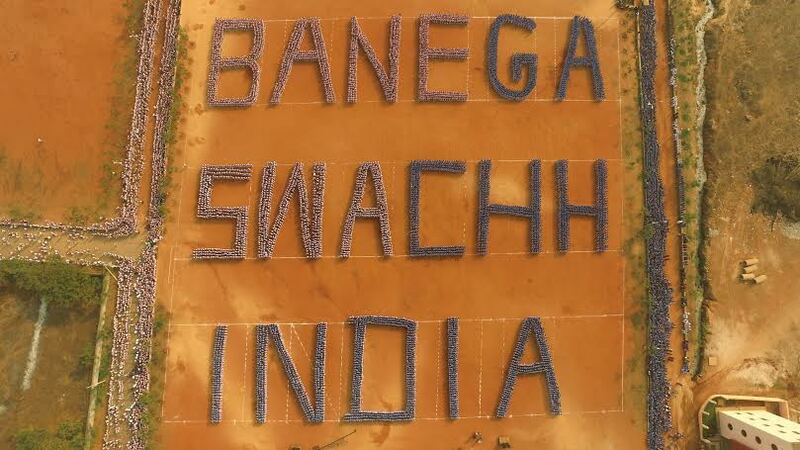 Aiming to get students community and common people to join the clean-up drives across India throughout the year, 25000 students of Kalinga Institute of Social Sciences (KISS) were assembled to make largest Human Sentence on ‘Banega Swachha India’ in KISS Campus on Sunday. As a part of the campaign students clean up nearby slum, villages, medical and roads during the occasion. Encouraging students Dr. Achyuta Samanta, Founder, KIIT & KISS said, students of KISS are engaged themselves two hours every Sunday, which is a regular habit of the students since so many years. Besides, students and staff of KISS and KISS also involve themselves in cleaning campaign during Gandhi Jayanti and other important occasions.